The opening event at the Grand Palais focused on Israel’s supposed technological achievements. Nearby, in the Champs-Élysées, protesters danced the Palestinian dabke and they held a festive breaking of the Ramadan fast on the iconic avenue at the end of the rally. While Palestinians were being slaughtered, Israel’s Prime Minister Benjamin Netanyahu was declaring this a most glorious day. Israel has made many such changes to Occupied Territories. For example, the Golan Heights still belongs to Syria despite the many illegal settlements built there, however much stolen oil is extracted there, or however many field hospitals for Islamic State (IS, formerly ISIS) and Al-Qaeda fighters Israel erects there. That like Jerusalem, the Golan has been illegally annexed makes no difference at all in law nor to every other government in the world. Except Trump’s government. Donald Trump’s trashing of the Iran nuclear deal this week was not just an attack on Iranian sovereign interests. The US president was also poking European allies in the eye. How obscenely ironic. Embassies traditionally symbolize diplomacy and peace. 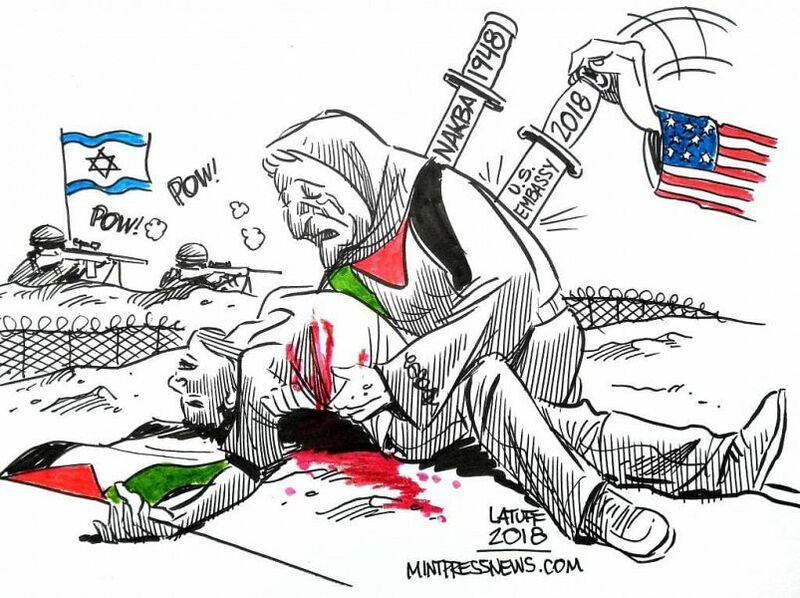 The opening of the US Embassy in Jerusalem was occasioned by a grotesque baptism of murder of Palestinians, heralding wider war in the Middle East. 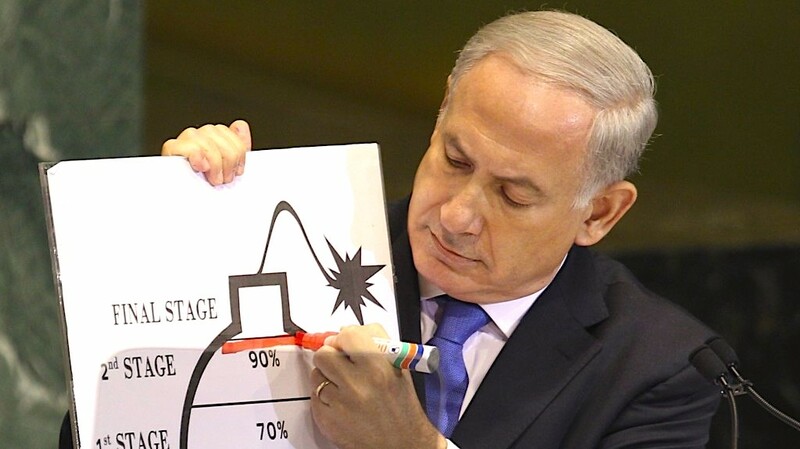 Israeli Prime Minister Benjamin Netanyahu’s claim in his theatrical 20-minute presentationof an Israeli physical seizure of Iran’s “atomic archive” in Tehran would certainly have been the “great intelligence achievement” he boasted if it had actually happened. But the claim does not hold up under careful scrutiny, and his assertion that Israel now possesses a vast documentary record of a covert Iranian nuclear weapons program is certainly fraudulent. Making policy by destroying the reputations of middle management in the government is of course highly destructive to the democratic process. I mind this behavior quite a lot and fear it won’t get the traction it deserves among the press and the public. Forty-nine Palestinians have been killed by Israeli forces and armed civilians so far this year, 13 during the month of July alone. Thirteen Israelis and a British national were killed by Palestinians in 2017. 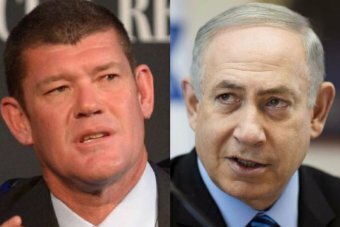 Israeli police want to question Australian billionaire James Packer in connection with a corruption probe into Prime Minister Benjamin Netanyahu, local media reports. Israeli Prime Minister Benjamin Netanyahu says the American embassy in Israel should move from Tel Aviv to Jerusalem. I recommend watching this video. When The Factual Record Matters: On Israel’s Elections | newmatilda.com. Why Israel’s far right policy damages America’s national interests – English pravda.ru. 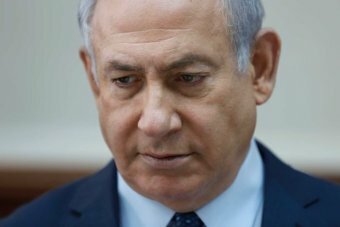 Juan Cole: Mideast Reacts With Horror at Netanyahu’s Re-Election: ‘Israel Has Elected Extremism and Racism’ – Juan Cole – Truthdig. Israel chose – will the Palestinians? – Al Jazeera English. Israel election: Netanyahu claims victory as main rival concedes – CNN.com. Bibi in big trouble: New poll shows Israeli PM in danger of losing bid for fourth term – Salon.com. Netanyahu, ‘Censored Voices’ and the False Narrative of Self-Defense (from @Truthdig). Bill Blum: In the Shadow of FDR, Netanyahu Preaches a Politics of Fear – Bill Blum – Truthdig. The Real Debate Over Israel’s ‘Jewish Nation-State’ Bill It’s not about whether systematic discrimination against Arab citizens should continue—it’s about whether it should be codified in explicitly racist legislation. 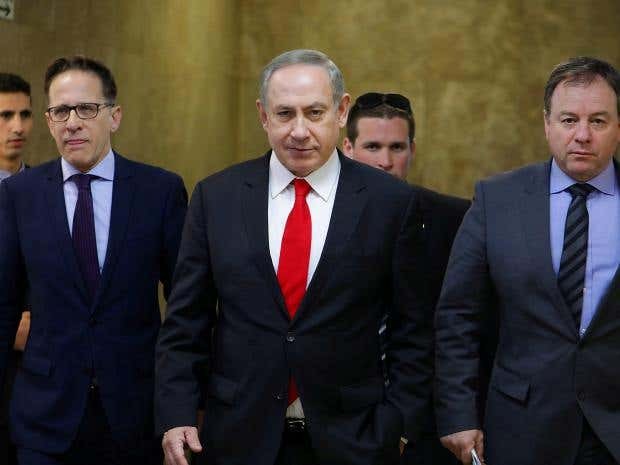 A key factor in the dissolution of the Israeli government in early December was a serious debate around the “Jewish Nation-State” bill, proposed legislation that emphasizes the Jewish ethnic character of the state. Surprisingly, the debate created the impression that the government collapsed over the question of equality for Israel’s Arab citizens. But is this really the core of the debate? The Jewish Nation-State bill would explicitly codify such principles as ensuring a Jewish demographic majority, establishing Hebrew as the only official language (today Arabic is also an official language) and positioning Jewish religious law as a legitimate source of law for the State of Israel. The proposed bill also makes clear that Israel is a state in which only the Jewish people can exercise self-determination. The bill caused a serious rift between two political camps. 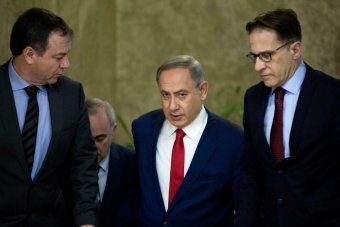 The right-wing parties, the majority in Prime Minister Benjamin Netanyahu’s government, lent their full support to the bill, arguing that there is no reason not to enshrine the reality of Israel as a Jewish State in the law, given that the concept lies at the heart of consensus among the Israeli Jewish public. 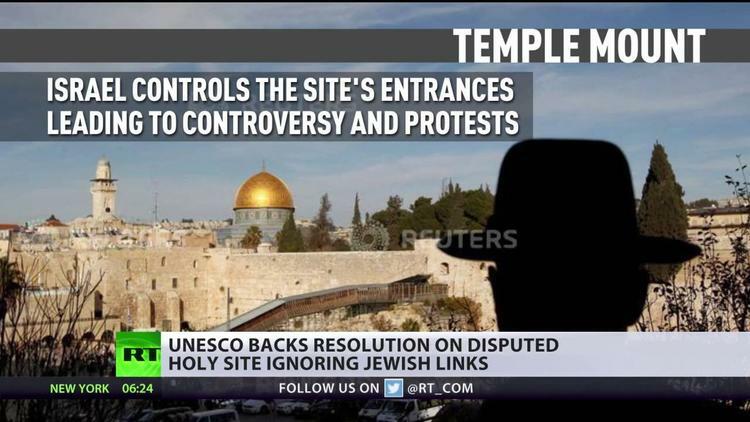 The Zionist center parties, led by now-former Israeli Justice Minister Tzipi Livni, forcefully opposed the bill. In fact, if we closely examine the bill, we might assume that it came from the Zionist center camp itself. First, the bill is essentially a legal anchoring of Israel’s historical “Jewish-democratic state” doctrine. In 2000, the Israeli Supreme Court determined that Israel’s Law of Return (which guarantees the right of Jews anywhere in the world to live in Israel and gain citizenship), the preservation of a Jewish majority, Hebrew as the central language, Jewish holidays, Jewish heritage and the Jewish symbols of the state all comprise the minimal core aspects of the “Jewish state.” The new bill, which adds that “the State of Israel will have a democratic regime,” does not go beyond the Supreme Court’s decision. Furthermore, the bill closely mirrors the ethnic provisions of the draft “Constitution by Consensus,” prepared by the center-left Israel Democracy Institute in 2004-06. At that time, the IDI’s Constitution by Consensus was challenged by the Arab citizens’ “Future Vision” documents, due in part to the Jewish ethnic dominance that prevailed in its clauses. Second, contrary to the intentions of their right-wing sponsors, the Jewish Nation-State bill actually bolsters the program of “two states for two peoples.” For the first time, the Israeli political right is proposing a Basic Law (a law that is equivalent to a constitutional law in a country that does not have a Constitution) that distinguishes between the “Land of Israel” (Eretz Israel) and the “State of Israel” in regards to the fulfillment of self-determination. The Nation-State bill declares that “the Land of Israel is the historical homeland of the Jewish people…” and that “the State of Israel is the national home of the Jewish people, in which it fulfills its aspiration for self-determination.” Legal analysts would understand this distinction to mean that Tel Aviv and Hebron, located in the occupied West Bank, are not equal in the eyes of the law. Consequently, for example, the minority opinion of Supreme Court Justice Edmond Levy—who found that Gaza is part of the Land of Israel, and thus settlement there constitutes fulfillment of the Jewish people’s self-determination—clashes with the Nation-State bill. Conversely, Livni’s statements as foreign minister under the Ehud Olmert government, in which she contended that Arab citizens should fulfill their collective rights in a future Palestinian state, fits with the Nation-State legislation that denies Arab collective rights in Israel. So why, then, are many among the Israeli center opposed to the Nation-State bill? It is not because most of them favor “a state of all its citizens.” (This phrase encompasses the call for a civic state and full equality between Jewish and Palestinian citizens of Israel.) Rather, it is because the new legislation seeks to challenge the longstanding “Ben-Gurionist” tradition regarding the rule of law. 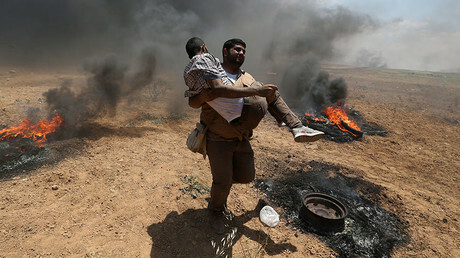 This tradition asserts that, apart from a few exceptional laws like the Law of Return and the Absentees’ Property Law, Israel should refrain from enacting ethnically based legislation—laws that are clearly written in discriminatory language—in order to present the state as democratic in the international arena. Under this tradition, the executive and judicial branches would carry out the discriminatory and repressive policies instead, without the existence of ethnic legislation. Because of this tradition, there was no need, for example, for the 2011 Admissions Committees’ Law to discriminate against Arab citizens in housing, because in practice these committees and the Israel Land Authority already kept these communities “clean” of Arabs while also maintaining the “cleanliness” of Israeli law. Likewise, there was no law mandating military rule over Arab citizens from 1948 to 1966; there is no law today imposing military occupation over the Palestinians in the West Bank since 1967; and there is no law designating Gaza as the target of a military siege since 2007. In all of these examples, the government, the army and the judiciary do the work instead of ethnic laws. This tradition also sometimes works in the opposite direction. 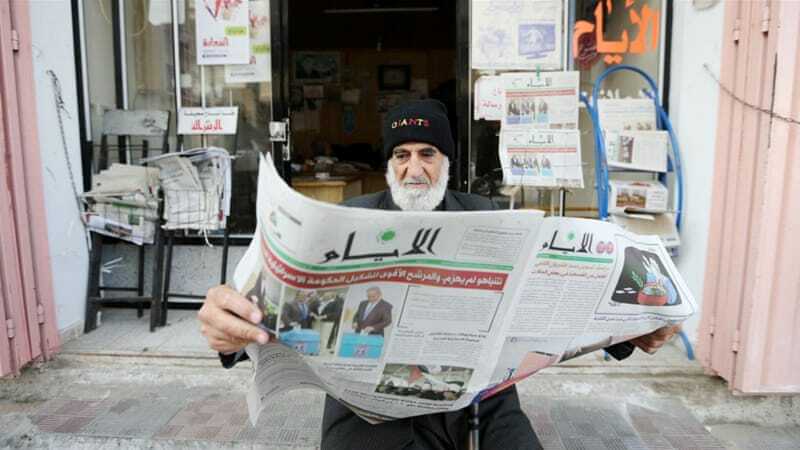 For example, despite the fact that Israeli law states that Arabic and Hebrew are official languages of the state, the Supreme Court has ignored this legislation and even ruled that Hebrew is the central language. While the court accepted a few appeals regarding the use of Arabic, it determined in the same breath that the specific use of Arabic does not detract from the supremacy of the Hebrew language. Through these methods, the tradition of “the Israeli rule of law” has maintained discriminatory policies and practices even when there are positive laws (as in the case of the official status of Arabic) and even in the absence of direct ethnic laws. This tradition is contrary to the principle of the separation of powers, and in fact suspends the essence of the rule of law. The public debate around the Jewish Nation-State bill thus primarily centers on this legal tradition. 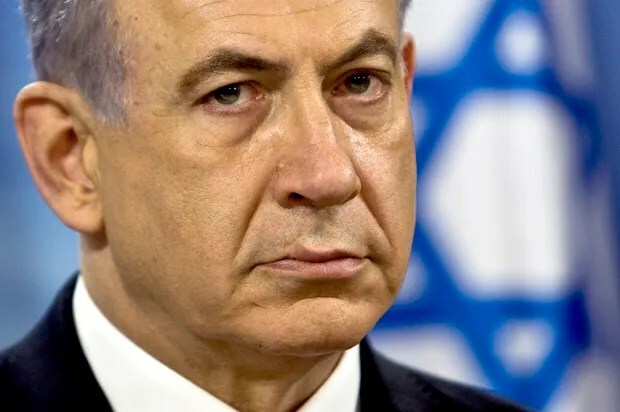 The Netanyahu government refused to comply with the tradition; instead, it sought to legislate existing racist practices and reclaim the Knesset’s authority, changing it from a passive to an active body. The “traditional camp,” represented by the center, opposed this move mainly because there is no need for ethnic laws, as the work has already been accomplished efficiently since 1948 without “embarrassing legislation.” The traditional camp’s concern is therefore not to eliminate the discrimination, but rather to conceal it in order to preserve the state’s image internationally. In contrast, the Netanyahu government’s goal is to make Jewish supremacy apparent and to make Arab citizens explicitly inferior—both in the Arabs’ own eyes and in the eyes of Jews. As such, the Nation-State legislation is anti-Arab and racist at its core. For these reasons, the debate between the two camps is not about whether discrimination should or should not be stopped, but rather about how to continue it. Ironically, the Netanyahu government’s approach is consistent with the formal principle of the rule of law. But this also exposes the clear similarity between the current Israeli government and the former apartheid regime of South Africa, which explicitly anchored the practice of racial supremacy in legislation. 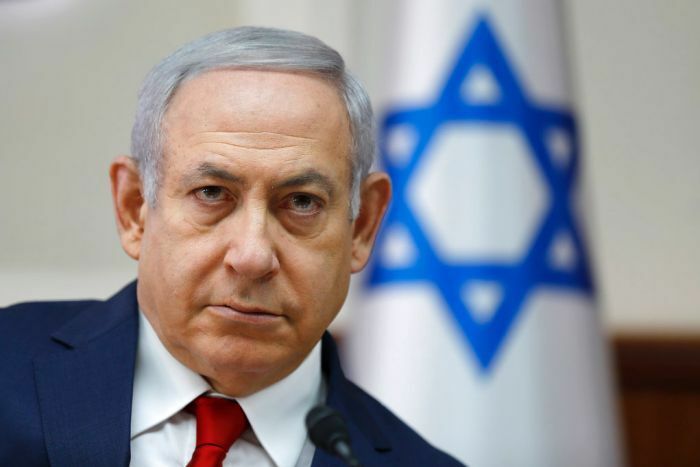 Juan Cole: What Would Happen If the International Criminal Court Indicted Israel’s Netanyahu? – Juan Cole – Truthdig.